The foothill community of La Crescenta CA made the news recently when a black bear began targeting local garbage cans in search of tasty treats. Though the bear was soon subdued and transported deeper into the Angeles National Forest, the incident is a reminder that garages where trash cans are kept are often very attractive to bears. To make sure your garage door is doing its job and keeping out the wildlife, you might need garage door repair La Crescenta CA. Whether your garage doors La Crescenta CA are old or new, custom garage doors or from a brand like Wayne Dalton, Unique, LiftMaster, Genie, or Amarr, we can help you pinpoint the source of your garage door problems. We pride ourselves on good communication—we’ll make sure you understand all your options, and no work will be done without your consent. 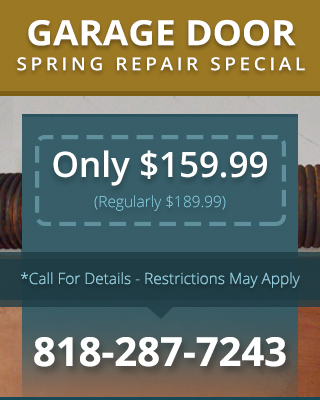 More times that we care to recall, customers have called us for garage door spring repair La Crescenta CA after they’ve attempted to replace the springs themselves and ended up injured. 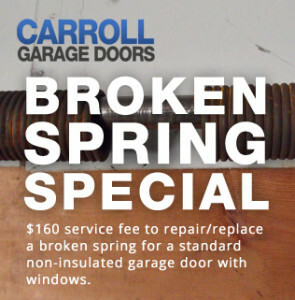 We urge you to always call us first when you need to repair this dangerous piece of your garage door system.